This isn’t democracy! Two-thirds of Europeans want to ban Monsanto’s toxic weedkiller and the EU Parliament just voted for tough restrictions, but a leaked proposal from the Commission says they’re about to renew glyphosate for another 10 years anyway! Sweden could have the power to stop this. Environment Minister Åsa Romson has been eager to defend our health and environment, publicly requesting more transparency and refusing any shameful compromise. But she’s now under pressure within the coalition government. Now as ministries are deciding Sweden's position, let’s flood the minister with our supportive messages, and ensure they put our health and food first. I am one of 1.4 million people, including over 10,000 Swedish citizens, urging you to use your leadership and influence with the Commission and object to the renewal of glyphosate as long as the scientific controversy is not clarified and EFSA hasn’t been more transparent on their results. I am extremely concerned because leading UN cancer scientists say glyphosate probably causes cancer, and I cannot be sure how much I’m exposed to it as it is used so extensively everywhere in our food, parks and playgrounds. 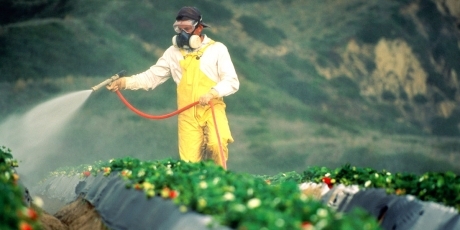 Leading scientists and experts have criticised the EU regulatory process as flawed because it mainly based its assessment to greenlight the pesticide on science from the chemical companies themselves. Please listen to the science and the public and exercise the "precautionary principle". We should not be exposed to this substance until it is proven safe by independent scientists. Sweden must join France, Italy, and others in refusing any proposal compromising our health and our environment.